On the evening of Thursday January 10, 2019, at the Heritage Platinum Night Auction hosted by the F.U.N. 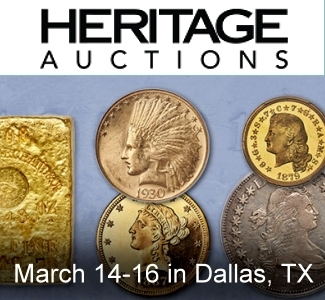 Show, John Brush, President of David Lawrence Rare Coins, and D.L. Hansen, the owner of the “Greatest U.S. 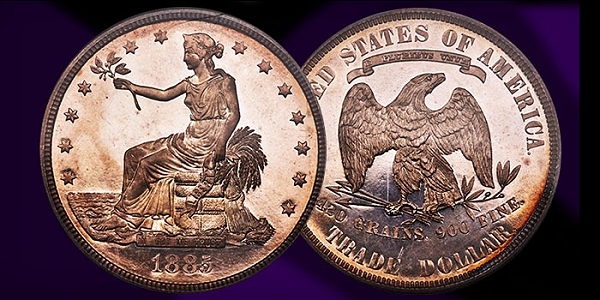 Coin Collection of All-Time”, acquired the famous and rare 1885 Trade Dollar, graded by NGC as Proof 66 for $3,960,000. Mr. Hansen, assisted by John Brush of DLRC, has been on a mission for the past two years to put together the first privately held coin collection of items from 1792 to Present. The “Eliasberg Quest” as they call it, has been an incredible challenge for the duo, and this legendary rarity was another stop on the path to completion. According to the PCGS Registry Set calculations, the collection put together by Hansen has already surpassed the overall quality of the historic Louis Eliasberg Collection, even while missing a dozen tougher items. 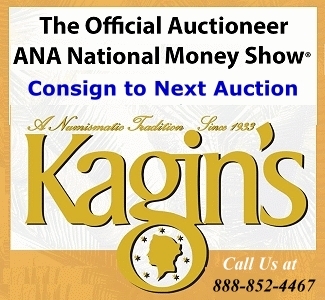 The coin, which was graded and authenticated by Numismatic Guaranty Corporation (NGC) as Proof 66, was last offered in a public arena in 1997. With a pedigree of Mehl, Eliasberg, Parrino, Morelan, and Albanese, this piece was acquired by the owner of the Greensboro Collection in 2006 in a private transaction. 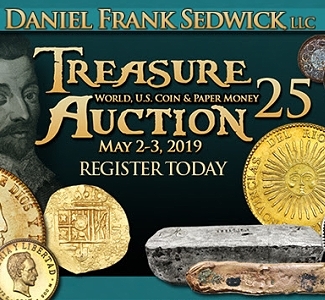 The recent offering was also the first offering of one of the five 1885 Trade Dollars since DLRC sold the Farouk example in the Richmond Sale of 2004. While not as publicized as an 1804 $1 or a 1913 5c, this historic rarity is offered far less frequently than the other classic rarities mentioned. With no examples housed in the Smithsonian, ANA, or ANS museums, this incredible opportunity was truly a once in a lifetime event. 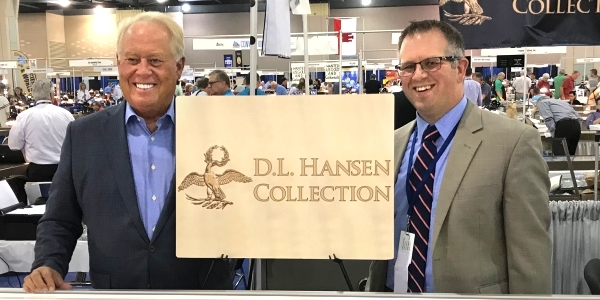 Mr. Hansen, a Utah businessman and partner of DLRC, has been an active collector since childhood, but has only rekindled his passion over the last two years. In that small-time span, he has acquired what is widely considered to be the Greatest All-Time Collection of U.S. Coins. This piece was another momentous acquisition by Mr. Hansen as the collection now houses many classic rarities and Finest Known Items. 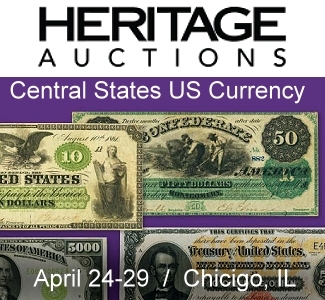 The 1885 Trade Dollar will join the 1804 $1 PCGS Proof 62, the 1907 Ultra High Relief $20, the 1876-CC 20c PCGS MS65, the finest 1901-S Barber Quarter PCGS MS68+, as well as the most complete collection of US coins that has been privately assembled. 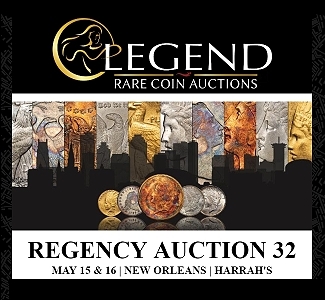 David Lawrence Rare Coins (DLRC) was founded in 1979 by David Lawrence Feigenbaum in a spare bedroom. A passionate collector his entire life, Feigenbaum made the jump to dealing when his collecting desires surpassed his limited professor’s budget. After David passed away from a long battle with ALS (Lou Gehrig’s Disease), David’s son John Feigenbaum took the reins and oversaw the company’s growth until 2015. In August of 2015, John Feigenbaum became the Publisher of CDN Publishing and passed operations on to John Brush. Mr. Brush directs the company with the help of an extremely dedicated staff of 20 employees. The management team has a cumulative total of over 80 years with the company while DLRC’s numismatic team offers 100+ years of experience. 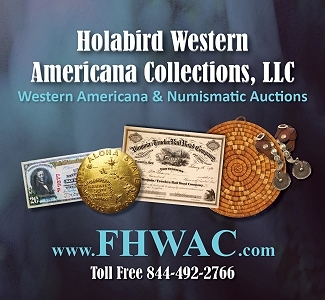 The company has handled many legendary rarities of United States numismatics, including the finest certified 1796 No Pole Liberty Cap Half Cent; two examples of the 1894-S Barber Dime; a gem 1876-CC Twenty Cent Piece; the finest known 1901-S Barber Quarter; 1884 and 1885 Proof Trade Dollars; three of the 12 known 1870-S Seated Dollars; the famous “Discovery of a Lifetime” 1854-S $5 Gold Half Eagle; the historic 1815 $5 Gold Half Eagle; one of the two known 1825/4 $5 Gold Half Eagle; and the Mickley-Hawn-Queller 1804 Proof Draped Bust Dollar. DLRC also helped to assemble and then sell the $25 million Richmond Collection at three public auctions hosted in New York City and Baltimore, and are the curators of the All-Time Greatest Collection of U.S. Coins, the D.L. Hansen Collection. DLRC holds weekly internet auctions and offers sellers the options of direct sale or consignment to auction. 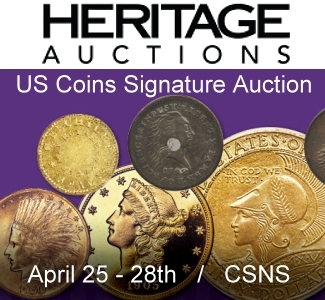 To work with David Lawrence or for any question as to how they can help your collection, please call 1-800-776-0560 or email coins@davidlawrence.com.